The Preeclampsia Foundation and AMAG Pharmaceuticals, Inc. today announced a Corporate Partnership focused on the ongoing commitment of both organizations to improve the diagnosis and treatment of hypertensive disorders of pregnancy, including preeclampsia, eclampsia, and HELLP syndrome. “We appreciate AMAG Pharmaceuticals’ support of our efforts as a Corporate Partner,” said Eleni Tsigas, Chief Executive Officer of the Preeclampsia Foundation. “AMAG Pharmaceuticals has been a long-time supporter of the Foundation, and we value their ongoing commitment to incorporating patient insights into research and development efforts. 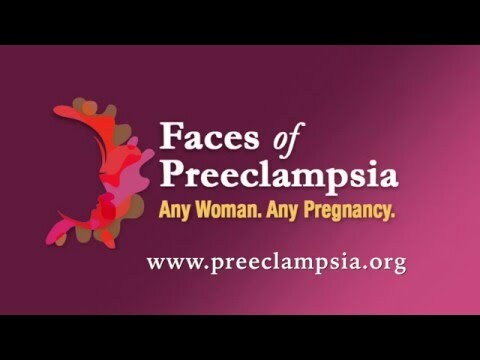 The Preeclampsia Foundation’s Corporate Partner program is open to organizations with a shared mission of saving the lives of moms and babies from the potentially devastating impact of preeclampsia and other hypertensive disorders of pregnancy. For information on how to become a Corporate Partner with the Preeclampsia Foundation, contact Chris McGahee, Director of Development, at 321-421-6957 or chris.mcgahee@preeclampsia.org.